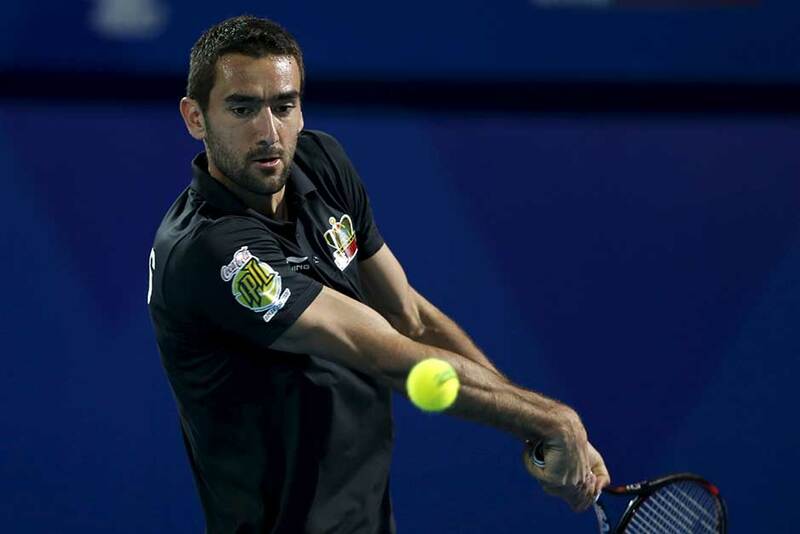 Dubai: Croatia’s top tennis player Marin Cilic is looking at the numbers. For a start, 2013 doesn’t exactly look good to him. It’s a year he’d best leave in the past. 2014 was better, and for more reasons than one. 2015 was the start of a few more things that titillated and gave vent to his latent talent as a tennis player, both on and off the court. And now, 2016 beckons with much better things. “I want to be in the top 8. I want to be with a very select group of players, maybe number 5, 6 or 7 sounds like a ranking I can have given the game I play,” Cilic told Gulf News during his three-day stay in Dubai during the penultimate round of the International Premier Tennis League (IPTL) last week. Cilic first shot into gaze when he defeated then world number 2 Andy Murray in the fourth round at the 2009 US Open. After this came a semi-final appearance at the 2010 Australian Open. “But then I found that I was stagnating, tennis-wise and otherwise,” Cilic admitted. Then, came the nine-month ban from the International Tennis Federation (ITF) for a positive drugs test after Cilic had taken a glucose tablet. Luckily, the sentence was backdated to May 1 giving him the opportunity of returning back to tennis in February 2014. “In a sense the ban was a very good learning curve for me, both in tennis and in actual life. Mentally, I improved, and after that incident [doping charge] I knew what I had to really do and what I am ready to give off to the sport. It gave me a bit more determination and it gave more clarity in what I wanted in life as a whole. I also know now that I need to do the right stuff at the right time,” Cilic recounted. Cilic marked his return with countryman and Grand Slam winner Goran Ivanisevic as part of his coaching staff. That move paid off as gangly Croat Cilic made the boldest of statements in September, 2014 with his first Grand Slam crown at the US Open, defeating Kei Nishikori in straight sets. “In the top eight ... that’s where I belong,” Cilic continued. “I am capable of doing some big things in tennis, and at the moment I feel that I am not so far away from being there. All I need to do is raise my game and take that one more step forward as a true professional would. Those memories of 2013 are way behind me now, and that’s the way I would like them to be,” he added. Easier said than done, and Cilic knows what it would take to be there among the elite men’s players. “Being among the best is what I am made for. But I also realise that it is never going to be easy getting there. Everyone wants to win and everyone wants to be in the top 10. There is only one way before me and that is to work harder and be more mentally stronger with myself week in and week out,” Cilic admitted. “I can’t afford to be soft and lame especially after losing a few matches. I need to keep on fighting towards my target. And the good news is that I am pretty motivated,” he added. The lad from Medjugorje finished 2015 at No. 13 on the ATP Men’s Tour, something that he thinks is well below his true potential as a player. “But then, I did not play too many tournaments during the year. I feel fresh and I feel deep within that I am getting there. I have a pretty positive way to look ahead,” Cilic related. Maybe the coming year will see his number truly up.